As I mentioned the other day, Network Awesome creator Jason Forrest dropped me a nice “thank you” email after I wrote about finding and enjoying his video curation site and channel. I asked him for an interview to learn more about NA, and much to my luck, he agreed. So here is our email exchange where he tells me more about the creation and raison d’être of Network Awesome. Mediageek: How did Network Awesome start and how long has it been online? Jason Forrest: I had the basic idea for Network Awesome last year in the summer of 2010. After working out the idea for a few months I reached out to Greg Sadetsky to program it. After an intense few days we began work on the site and 6 weeks later it went live on Jan 1, 2011. Mg: Why did you start it? JF: I started N.A. because I realized that there was a hole in the programming provided by the TV networks. I dislike current TV trends and wanted to watch more interesting content – most if it vintage. I also became frustrated by the uneven quality of video on YouTube and realized that a curatorial voice was missing in the landscape. Mg: How many people are contributing to or working on NA? JF: That’s the crazy part- we have 91 volunteers involved from all over. Most of them are writers for our magazine (60+) but we also have 20 video curators and then video producers, PR people and a few more biz dev advisers, etc. One of our most recent gang members is Isaac who is running our Tumblr site and doing a phenomenal job at it! We get 2-5 more volunteers every day! Mg: How did you recruit so many people to work on Network Awesome in such a short amount of time? JF: Because we program content that’s both appealing and unique it has been met with excitement by a certain type of person who sees this as an opportunity to share something they are passionate about. We’ve been able to build a great team largely by answering our emails and actually giving a damn about people! haha! The writers we work with want to get involved because they like the idea of writing about such interesting content. The video curators get to share what they love and everyone else gets involved because they think it’s cool. Also it’s just fun! 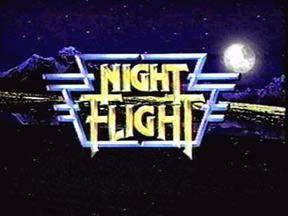 Mg: The approach of NA reminds me of eclectic video programs from the 80s, like the much missed Night Flight on USA network or the Z Channel cable network in LA. Were these an inspiration? JF: Massively so! 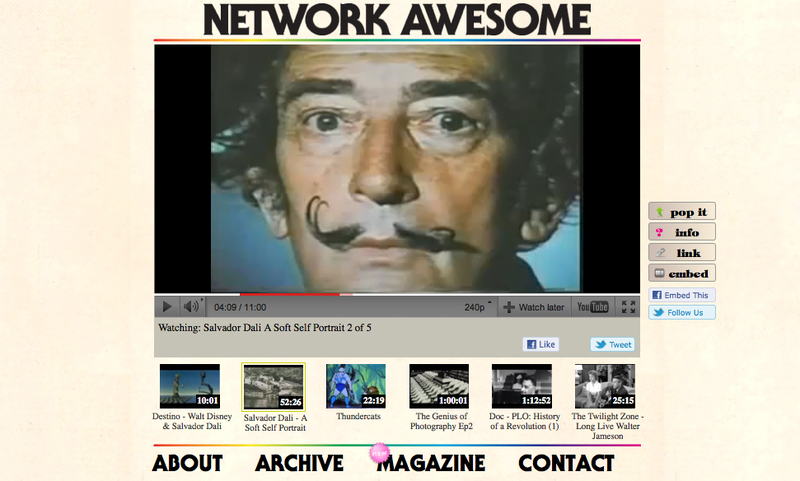 In fact we actually began Network Awesome Magazine as a direct homage to the Z Channel Magazine! Mg: Were you influenced by other retro video sites, such as Everything Is Terrible, even though your approach is different? JF: Not really. To be honest much of what we designed N.A. in reaction too was YouTube itself. We never considered ourselves to be a blog or even “just a website” but always as a TV channel. We think the main concept of N.A. 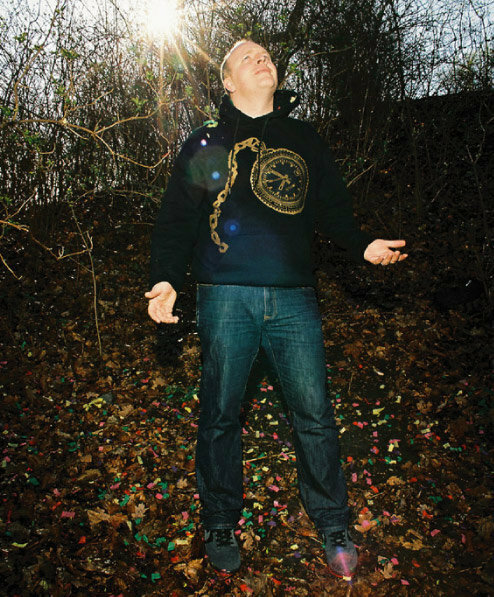 is in the curatorial vision of our programming, and that can scale to pretty much any format. Mg: Network Awesome’s organizing principle seems a lot like a broadcast schedule, or a DJ set, especially since the videos play in sequence. Why did you choose this format? JF: Well, it’s amazing that you say DJ set, as I’m a professional musician / DJ and have been for many years. I actually never had considered it that way before – but of course you’re right! We try to look at our site from the users perspective first and foremost. We try to present the most basic and clear way to deliver our content to our viewers and we’re always trying to improve. There are MANY improvements coming soon! But to answer your question, I think traditional broadcast got many things right in concern to who people want to watch video and that online video changed these habits. We consider Network Awesome to be between the two and the trends in our viewership point to its relative success! Mg: Why do you think someone would come to a site like Network Awesome instead of just go browse YouTube? JF: We get asked this often and we fully agree that anyone can find anything on YouTube just as we have. But the problem is the time to find it and also the process of discovery can be annoying. With our channel you get all the correct links in the correct order plus information on the show and possibly even a article explaining it. Beyond that you also watch the combined curatorial power of 20 people. When we focus on a subject we’re able to find a staggering array of amazing material – most of which one might never even know they were looking for it. This is sort of a major point, because we realize every day that the content we’re broadcasting has been largely abandoned by broadcast TV but it remains powerful, relevant, and even popular! 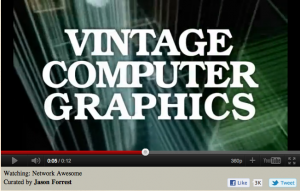 Mg: Who creates your retro-tastic video bumpers and IDs? How are they created? JF: Joey Mansfield and myself [create the bumpers and IDs]. I established the basic branding but Joey is reinventing it all. I’m actually excited to see his emails because it means he probably made something that’s gonna make me jump up and down! haha! The bumpers are a crucial part of the concept of N.A. because while people dislike commercials, they don’t mind the interruption or pause in the programming. 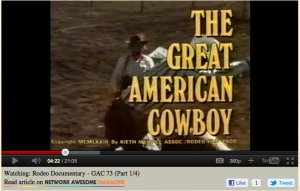 Mg: Network Awesome seems to rely a lot on content that other folks have uploaded to YouTube. Do you worry that some of it might disappear, either because the person who uploaded it takes it down, or because the copyright owner issues a takedown notice? No! We think that’s GREAT! It acts as a natural erosion for us to keep our archive as manageable as possible. A take-down also means that the rights holder doesn’t want it there and we only want to point to video that people want online. Our archive is constantly evolving and we like the life it gives the site. Mg: What are the criteria for videos to be featured on NA? JF: They have to be interesting. Mg: Is there anything you’d like to feature, but can’t find? JF: Tons of stuff, but at the same time YouTube is literally an ocean of content. We have over 17,000 videos curated in our system, but that’s absolutely nothing in comparison to what is uploaded every hour. 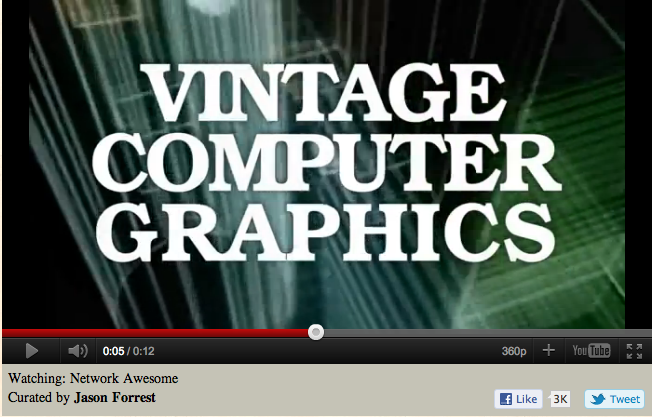 Mg: What’s your most favorite video that’s been featured on Network Awesome so far? Mg: What’s your favorite TV show from when you were a kid? JF: Ultraman! 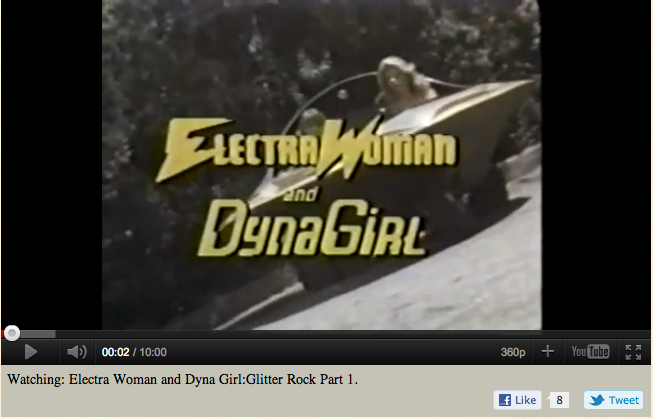 And amazingly enough – it’s not on YouTube… haha! A big thanks go to Jason both for putting so much effort into starting Network Awesome, and for taking some time for this interview. I’m looking forward to seeing NA develop.